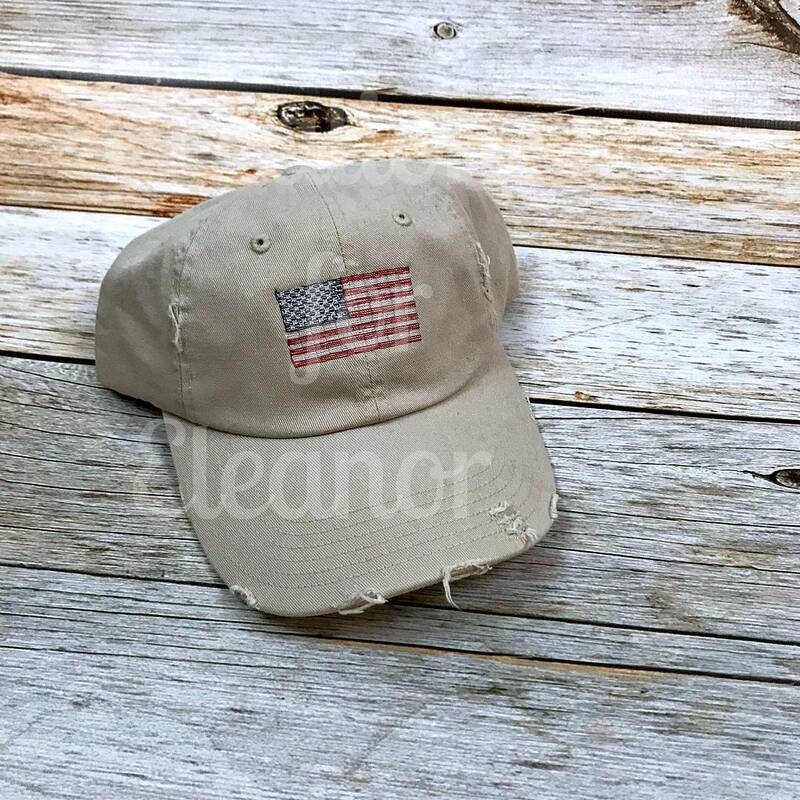 This simple vintage flag is a fun way to add your love of the USA to our best selling distressed hat. 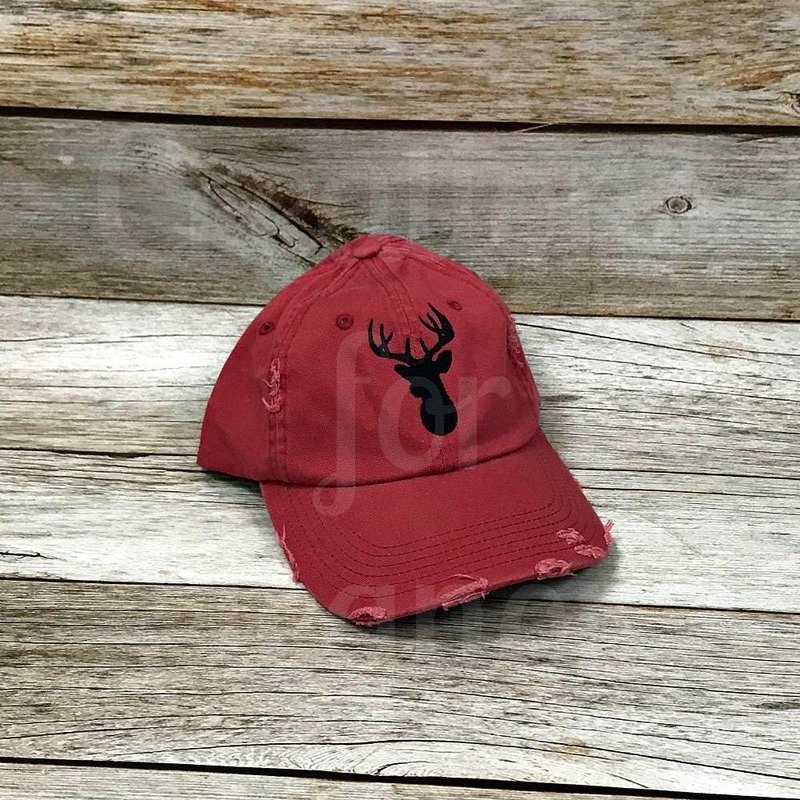 Crab, whale and deer silhouette are also available. 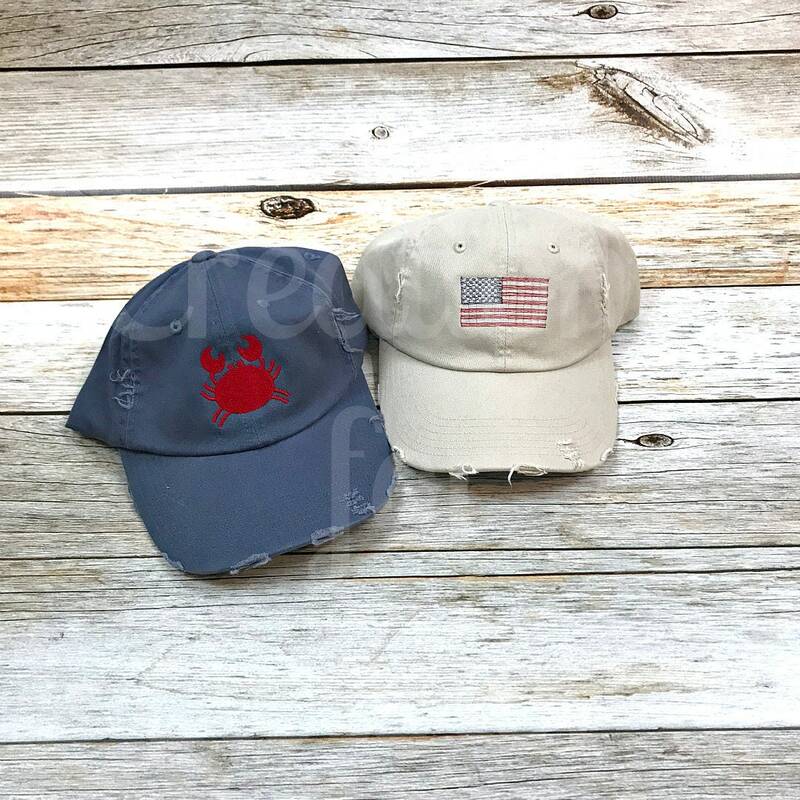 Cap is 100% brushed canvas twill, is enzyme washed to give it a "favorite hat" look, is unstructured and has a self-fabric adjustable slide closure with buckle. 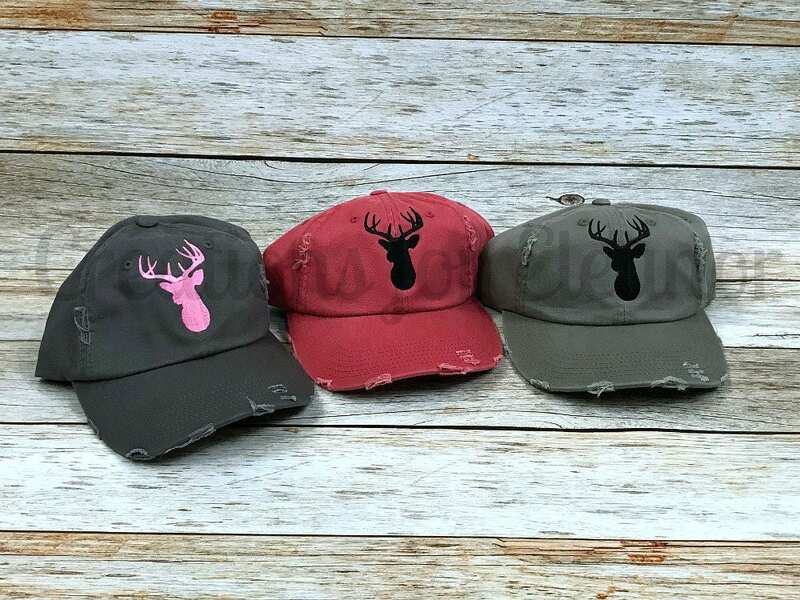 Thread colors are shown, please make sure if you purchase the crab, whale or deer that you specify a font color. 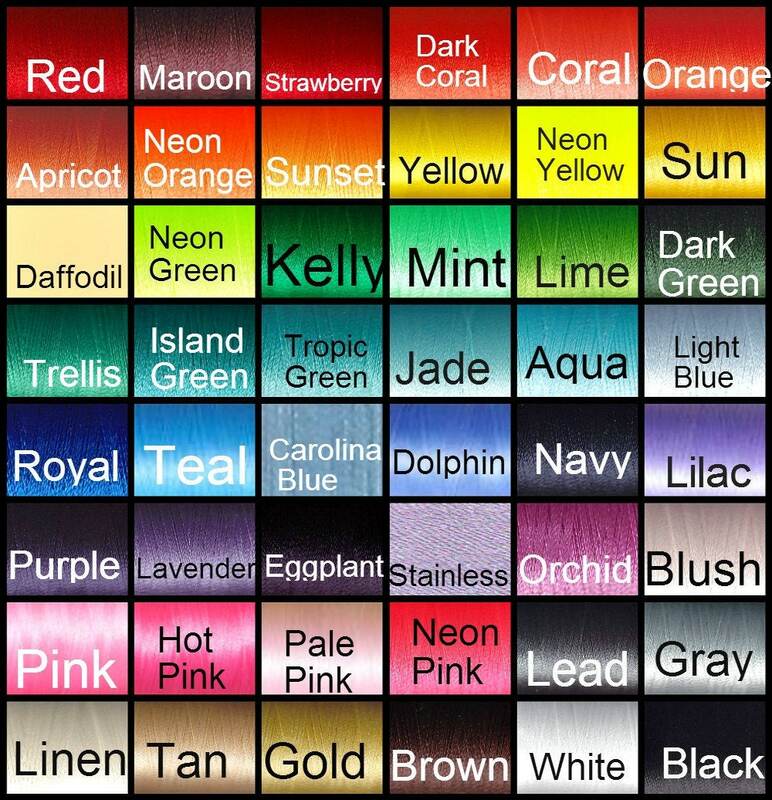 All order ship per stated policies.